This game really surprise me. It gave me a unique gameplay and the story is touching T ^ T.
The artwork is really good, it is comparable to pay to play otome games. The game is unique in which, instead of choosing, you have to type instead. The concept reminds me of Fate/Stay Night. Having dolls as your partner in fighting and all. 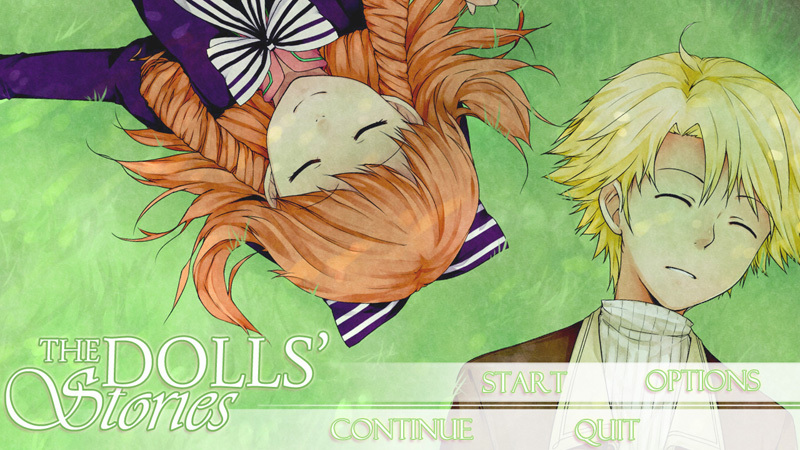 And what can I say, the male doll is just so handsome <3 The story is very well done, it is very well thought. Its a pity that the game play is pretty short. But the whole game is very enjoyable, extremely worth the time. Lovely game. I'm from Brazil and love your blog. I really love this game! Do you know more games like this? <3 Those which you can type your replies? question, how do you save? what are the answers for the boy? ;_; I'm from Brazil and my english is something bad. Based on this picture, you can see there's "Keywords" under the text box. You just have to type & include any keywords that are there. Even if the sentence doesnt make sense, its totally ok.